OK. fine! When do you think you will be ready? This is a hobby project. If there's anything wrong I try to fix it ASAP, but improvements are done when I have time. And now I just moved to a new home and I have A LOT of work, so I cannot work on this as much as I want. I think that with humid weather there will be less things I can do at home (garden, etc), so I'll work on it lot more. So I expect I'll be spending more hours gradually as autum/winter is approaching. 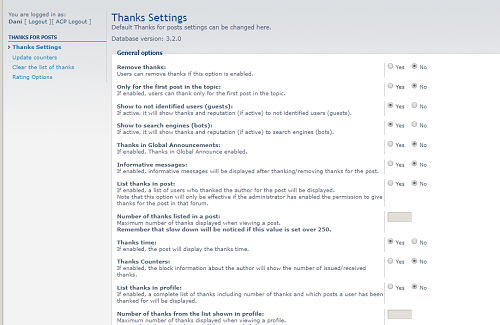 Are you sure that you wish to delete the data associated with “Thanks for posts”? This removes all of its data and settings and cannot be undone! That was an error in an old version. It should be fixed long time ago. Why do I get his? Strange, it should not happen. I'll investigate, but meanwhile you can disable extension and don't purge the data until it's fixed. I have delete rxu's thanksforposts 2.0.6 and Alg's addonforthanksforposts. Oh, the same thing as previously. Thanks for posts 3.2.11 is enabled, but there is no "ACP -> Extensions -> Thanks configuration", again. "Purge all sessions" and "Purge the cache" is "Run now". Seems some kind of configuration problem, maybe because previous extensions' data or corrupted configuration. You can try to manually change or create that on database. 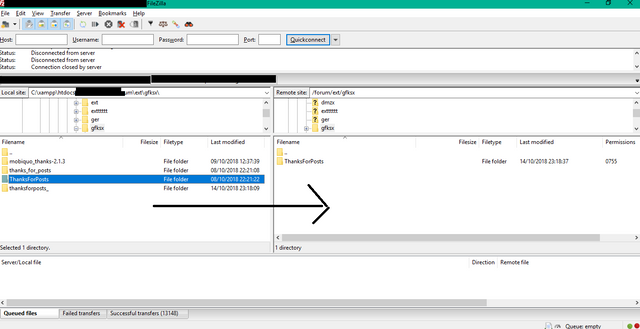 It should be there, on ACP. 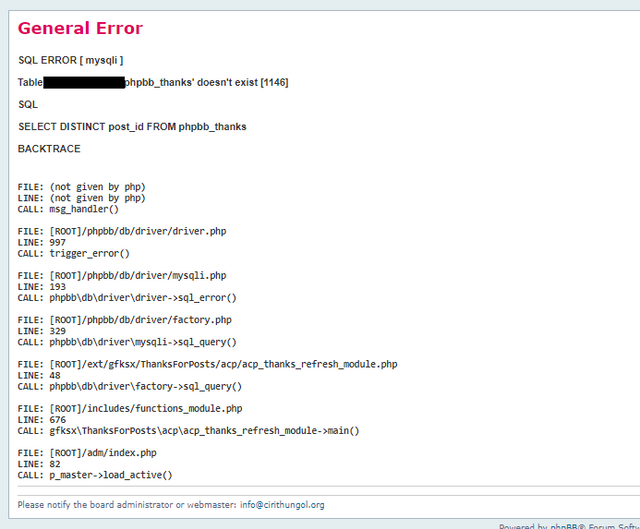 It's the 2nd time the same happens, are you sure your phpbb is not mangled? The other time it worked purging "Name suggestions"; doesn't work now that way? But I guess no. Thanks for posts 3.2.11 enabled or disabled, try different way (1 and 2). I have found 0. Except phpbb_notifications or phpbb_notifications.notification_data, it's endless "Searching". Two-three hours, still "Searching". phpMyAdmin: phpbb_teampage, phpbb_topics etc, excepts phpbb_thanks. Doesn't exist. No, all of those are disabled AND deleted, except Thanks For Posts. Edit: little bit more, 1 and 4 is good, 2 and 3 is errors. Something went wrong during the request and an exception was thrown. The changes made before the error occurred were reversed to the best of our abilities, but you should check the board for errors. Last edited by HiFiKabin on Wed Oct 31, 2018 4:51 pm, edited 1 time in total. Is this error thrown when deleting data? Why? It should not insert nothing, only delete data. I suggest making a manual deletion and then proceed with a fresh install of any of the extensions (this one or the original one, now validated and on CDB). The “gfksx/ThanksForPosts” extension is not valid. And delete data (! ), and start again. Thank you. 4) Try enabling the extension. About all that data I listed in previous post, they are values inside phpbb's tables (extensions, roles, permissions, configuration, etc). 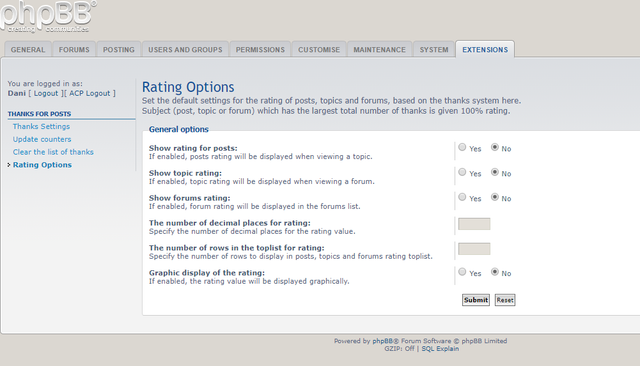 The only table created by the extension is "phpbb_prefix" + thanks. Before I have phpBB 3.0 in navbar_header.html.